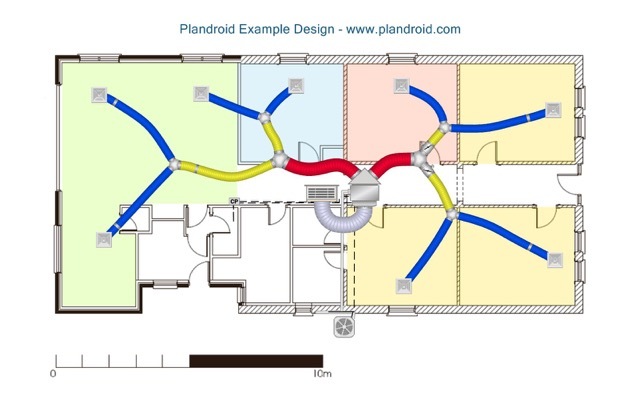 Plandroid is a simple graphical software tool for air conditioning system design and quoting. It allows you to create a ducting design superimposed over a house plan image, using components from your hardware supplier’s actual parts catalog. It also gives you a costing table based on those parts, and creates a report by inserting all the relevant data into your own report templates.